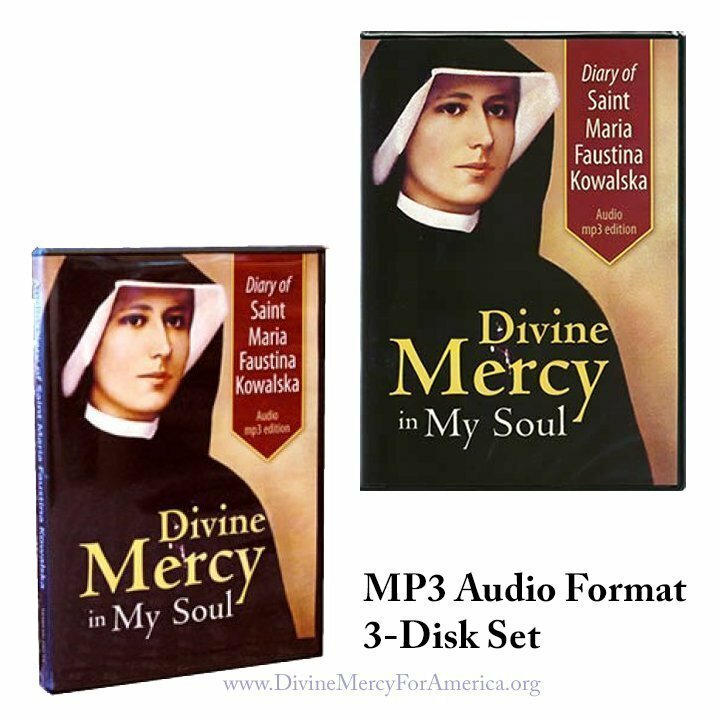 The Diary of St. Maria Faustina Kowalska: Divine Mercy in My Soul contains three MP3 discs containing the complete 33-hour audio Diary. 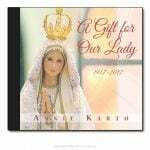 Also, includes a bonus DVD containing an interactive timeline with links to fascinating details and resources on St. Faustina and Divine Mercy. The prayerful voices featured in the complete Audio Diary of St. Maria Faustina Kowalska: Divine Mercy in My Soul foster a unique encounter with God’s mercy. 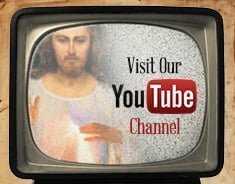 Listen to the words of St. Faustina as she describes and experiences the goodness and compassion of our merciful Savior and the tenderness of His mother. The voices of Jesus, Mary, and St. Faustina will speak to your heart and draw you into the dialogue of mercy. You’ll feel like you are actually listening to St. Faustina speaks in a gentle Polish accent as she writes in her Diary. 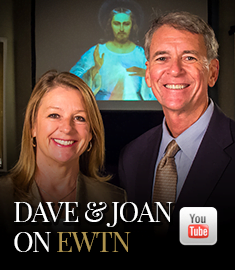 Hear this dramatic portrayal of the voices of Jesus and our Lady instructing St. Faustina. 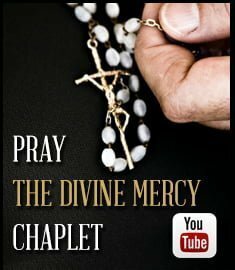 Gain deeper insight into Faustina’s mission to share the message of the Divine Mercy with the world. 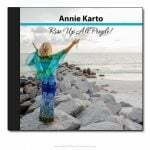 This 3-disc mp3 audio set is complemented by a bonus disc containing an interactive flip book. There, you will find timelines with fascinating historical details on the life of St. Faustina, her path toward sainthood, the rapid spread of her message of God’s mercy, and the “Popes of Mercy” who have embraced this urgent message for our time. Through the links included there, you will have access to articles, videos, music, and audio clips to enrich your experience as you journey with St. Faustina and discover her mission of mercy to the world. Further, a resource section from the Marian Fathers provides you with various ways you can follow St. Faustina’s example and live the message of Divine Mercy as a way of life. This Audio Diary contains mp3 files on discs. Mp3 is a compact audio file readable by most digital devices and automobiles. Please check your device to ensure that it is mp3 compatible.